​Nemo worked his entire 10-year career with owl biologist Dr. James Duncan near Winnipeg, Manitoba. Nemo’s main work was as an educator, reaching over 12,000 people from pre-school kids to retirees, new immigrants, Indigenous First Nations, and Hutterite colonies. During these presentations he raised over $50,000 for graduate students and owl conservation efforts, including fundraising events for the Lady Gray’l Fund in honor of this award’s namesake owl. Thousands of his pellets were given to schools to dissect. Four successive department of conservation ministers met Nemo at various private and public meetings involving conservation programs ranging from citizen science, wildlife rehabilitation, and wildlife habitat conservation. Most recently he helped convince elected officials to revise The Wildlife Act (Manitoba) to ban the roadside feeding of wildlife, including owls. Nemo passed away in his aviary in 2015 with no signs of stress or trauma and left a large hole in many hearts, especially Jim’s. ​Dudley spent the first two years of his life as an illegal pet. Since he could not live in the wild after being raised by humans, be began a career as an educator at the Carolina Raptor Center in Huntersville, North Carolina. During his 28 year career Dudley educated thousands of people in a wide variety of settings all over the southeastern United States. He visited the state legislature several times and schmoozed with a few governors, but he also visited prison inmates and spent time on stage with Jack Hanna. He was featured on television and in video productions. Dudley helped raise statewide conservation awareness by presenting at Earth Share North Carolina events including meetings with the Base Commander at Fort Bragg. With Dudley’s assistance, thousands of dollars were raised for conservation. The impact that Dudley made on the world was apparent when he finally passed at the ripe old age of 30: the Center received condolences from hundreds of individuals. 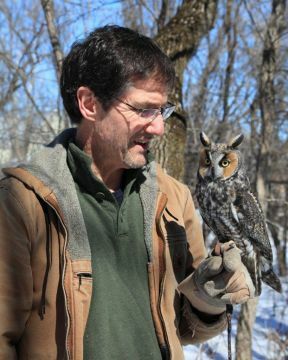 ​Professor Pertti Saurola has dedicated over 50 years of his life (so far) to studying owls. Once he discovered birds as a boy, nothing else mattered much to him. He spent his school days watching the birds outside the window, not paying attention to the teacher. Because much of Finland’s forests are being overharvested for lumber, much of Pertti’s work has revolved around the hundreds of nest boxes he has constructed and mounted over the years. 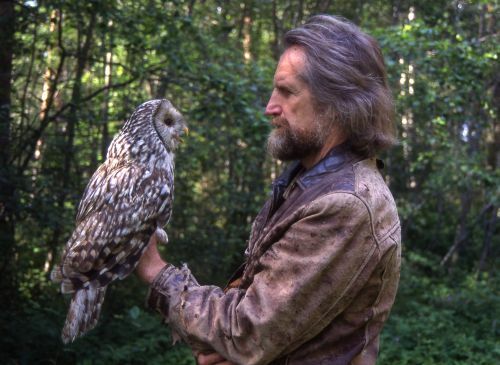 He has banded roughly 3,000 Ural Owls and 3,000 Tawny Owls, among thousands of other birds. He has known some individual owls for 20 years and learned much about the divorce rate of his long-term study birds. He developed techniques for capturing both female and male owls without harming them. As the head of the Finnish National Center of Bird Ringing he implemented regulations to prohibit wearing hard helmets when banding Ural Owls, as the owls sometimes hit the bander’s helmets so hard they killed themselves while defending their nests. As an ecologist and conservationist Pertti has been an invited speaker at many conferences and workshops around the world and his professional activities have taken him to 50+ countries. Ronald and Pascal are not professional biologists, but their passion for owls has led them to spend most of their free time over the past several decades working with Little Owls in The Netherlands. They began their work in the early 1980s, putting up nest boxes, monitoring them, banding the young, and tracking nesting data. In 1997, together with Hein Bloem, they founded Steenuilen Overleg Nederland (STONE, the Dutch Little Owl Working Group). The goal of the organization is to bring together everyone working with Little Owls in The Netherlands to create one central knowledge base for research and protection. They have published several handbooks and leaflets about research and protection, covering everything that anyone working with Little Owls could need to know: nest box designs and installation instructions, information on habitat improvement, banding information, data summaries, contacts, and more. They have become the go-to people for professional bird conservation and research organizations with which STONE collaborates. They organize the Landelijk Steenuilendag (Dutch Little Owl Day where current research is presented), and co-organize the Landelijke Uilendag (Dutch Owl Day), held every two years in conjunction with the Dutch Barn Owl Working Group and the Dutch Eagle Owl Working Group. Together with these other working groups STONE publishes the annual magazine “Uilen” (Owls). Ronald and Pascal work with the public. They educate landowners about habitat management, produce a regular e-newsletter, and even published a children’s book. They have gotten more and more people engaged working with Little Owls. There are now several hundred people involved in protecting and doing research on Little Owls, supported by STONE. When it comes to scientific illustrations of owls, Friedhelm Weick’s name easily comes to the top. Most owl biologists own a copy of “Owls, A Guide to the Owls of the World” and/or “Owls of the World” by Claus Koenig and Friedhelm Weick, which summarize and illustrate all the owl species in the world—a very major feat! 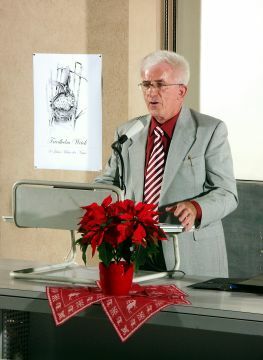 Weick has worked as a professional illustrator since 1965, which included creating museum guides, posters, and painting natural landscapes and murals at the Museum for Natural History in Karlsruhe, Germany. He has also illustrated over 120 books, and his work has appeared in most leading wildlife magazines. 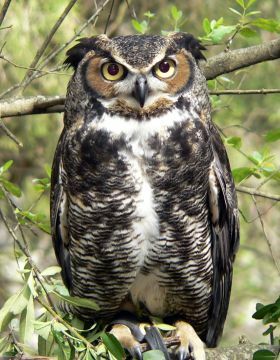 He has published scientific papers about owls on his own and as a co-author, often illustrating new species or depicting the subtle differences between subspecies. He has also illustrated calendars and a checklist to the order of owls. “Faszinierende Welt Der Eulen/Fascinating World of Owls” is his latest and one of his greatest works: a bilingual book featuring the rarest and most beautiful owls of the world.